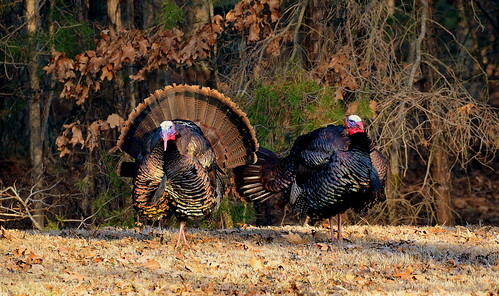 The Maryland Department of Natural Resources announced today that the fall turkey hunting season will open Oct. 28 and continue through Nov. 4 in Allegany, Garrett and Washington counties, with a bag limit of one turkey per hunter. The 2017 Wild Turkey Observation Survey Summary shows turkey reproduction in western Maryland was slightly below average, but high enough to maintain the population at previous levels. Hunters should be aware of local food sources when looking for fall flocks. Surveys suggest acorn production was spotty in the region this year. Turkeys tend to frequent fields more often and are more visible when acorns are scarce. Although not required, fall turkey hunters are encouraged to wear fluorescent orange clothing as other hunting seasons are open. Complete hunting regulations, check-in procedures and information on public land hunting can be found in the 2017-2018 Guide to Hunting and Trapping in Maryland.